The Red Dragon, upon which the earliest recorded performance of Hamlet took place. First official record: entered into the Stationers' Register by James Roberts on 26 July 1602 as "a booke called The Revenge of Hamlett Prince Denmarke." First published: version of the play published in quarto in 1603 as The tragicall historie of Hamlet Prince of Denmarke (printed by Valentine Simmes for Nicholas Ling and John Trundell). A revised text, "newly imprinted, and enlarged to almost as much againe as it was, according to the true and perfect Coppie" was published in 1604/1605 (by Simmes for Ling). This text was republished in 1611 (by George Eld for John Smethwick) and 1622 (by William Stansby for Smethwick). The Folio text appears under the title The Tragedie of Hamlet, Prince of Denmarke. Additional information (publication): the 1603 quarto text is considered a bad quarto, and was one of the original texts in relation to which Alfred W. Pollard coined the term. The 1603 quarto (Q1), the 1604/1605 quarto (Q2) and the 1623 Folio (F1) texts differ substantially from one another. Q1 is roughly 2200 lines, whilst Q2 is roughly 3800 lines. F1 is 230 lines shorter than Q2 but does include 77 lines not found in either Q1 or Q2. Verbal, grammatical and stylistic differences between the three texts number in the thousands. So different are Q1, Q2 and F1 that both Cambridge and Arden have issued two separate editions of the play; Cambridge published their standard scholarly edition in 1985, edited by Philip Edwards. In 1998, they followed this with a scholarly edition of the 1603 quarto as part of their Early Quartos series, edited by Kathleen O. Irace. Similarly, in 2006, Arden published two editions of the play; the standard edition (which uses Q2 as the control text) and a second edition, under the title Hamlet: The Texts of 1603 and 1623, both editions edited by Ann Thompson and Neil Taylor. The exact nature of the relationship between the three texts is still under debate. There is also the problem of Ur-Hamlet, a possible source used by Shakespeare, now lost. Some scholars however, feel that Ur-Hamlet (if it ever existed, which many doubt) was most likely an early draft. First recorded performance: the entry in the Stationers' Register in July 1602 states that the play was "latelie Acted by the Lo: Chamberleyne his servantes." The title page of Q1 states that it had been performed in London, at Cambridge and Oxford universities, "and else-where." However, there is no record of any of these performances. 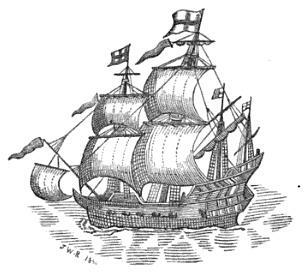 The first definite performance of the play took place on a ship called the Red Dragon, anchored off the coast of Africa, on 5 September 1607. The evidence for this comes from Thomas Rundall's Narratives of Voyages Towards the North-East: 1496–1631 (1849). Rundall includes extracts from the journal of Captain William Keeling, who was in charge of three ships sponsored by the East India Company that left England for India in March 1607, but were almost immediately separated. The Red Dragon, Keeling's flagship, was beset by storms and anchored off what is now Sierra Leone for six weeks. According to Keeling, the crew performed Hamlet on the nights of 5 September and "31 September" (presumably 1 October), and Richard II on the night of 30 September. There has been some argument as to the authenticity of Keeling's journal entry. Prior to Rundall's book, Keeling's journal had been published in 1625, but the references to Hamlet and Richard II were not included by the editor, Samuel Purchas. In his 1898 book, Life of Shakespeare, Sidney Lee claimed the entire Red Dragon episode was probably a forgery by John Payne Collier, and in 1950, Sydney Race revealed that the relevant pages were missing from the original journal and argued that a ship's crew would be incapable of mastering two of Shakespeare's most difficult plays. However, William Foster pointed out that the entire journal had been missing since at least 1900, not just the relevant pages, and he countered Race by arguing that the crew probably performed truncated and edited versions of each play. The general feeling amongst scholars today is that the record is genuine. The earliest recorded performance of the play in the United Kingdom took place at court over Christmas 1619. Evidence: because the three versions of Hamlet which appeared in 1603, 1604/1605 and 1623 differ so much from one another, dating the play is exceptionally difficult. In his 1987 edition of the play for the Oxford Shakespeare (which uses F1 as the control text), G R. Hibbard writes "exactly when Hamlet was composed depends in part on which Hamlet is under consideration, for the play exists in three different forms." Hamlet was originally written sometime between September 1599 and July 1602 (when it was registered in the Stationers Register). The terminus post quem of September 1599 is fixed by a reference to Julius Caesar (3.2.96-97), the earliest recorded performance of which took place in September 1599. Another important internal piece of evidence is found in Rosencrantz and Guildenstern's report to Hamlet of "an aerie of children, little eyases, that cry out on the top of question and are most tyrannically clapped for't" (2.2.335-337). This is probably a reference to the Children of the Chapel, a playing company of young boys who performed at Blackfriars with such success as to make them genuine rivals to the adult acting companies.The subsequent comment, "there has been much to-do on both sides; and the nation holds it no sin to tar them to controversy. There was, for a while, no money bid for argument, unless the poet and the player went to cuffs in to the question" (2.2.348-352) is thought to refer to the War of the Theatres between Ben Jonson on one side and John Marston and Thomas Dekker on the other. The conflict began in 1599 when Marston mocked Jonson with the character of Chrisoganus in Histriomastix. Jonson responded by satirizing Marston's style in Every Man out of His Humour, leading to a series of plays in which the various writers mocked one another. The "conflict" concluded in 1601, when Dekker mocked Jonson with the character of Horace in Satiromastix, at which point Jonson and Marston apparently reconciled. Both the reference to the child actors and the War of the Theatres suggest a date of composition of 1600–1601. Additionally, in his 1598 copy of the works of Geoffrey Chaucer, Gabriel Harvey has written in a marginal note that Shakespeare's "Lucrece & his tragedie of Hamlet, prince of Denmarke, have it in them, to please the wiser sort." Harvey also mentions the Earl of Essex as still alive, which would suggest he wrote the note prior to 25 February 1601, when Essex was executed. This would seem to narrow the date of composition to between September 1599 and February 1601. However, not all scholars accept that Harvey's note can be used for dating purposes, mainly due to the fact that it infers Thomas Watson (d.1592) and Edmund Spenser (d.1599) are both still alive, but also mentions John Owen's 1607 epigrams, making it impossible to ascertain exactly when the note was written. Stylistic evidence has also been cited, usually as illustrative of a date of composition of 1600 or 1601, with subsequent revisions up to, and possibly beyond, 1605. This dating, however, is far from universally accepted.